Benefit from up to 65 hr of power on a single charge with this 4-pack of 1.2V StayCharged AA NiMH Rechargeable Batteries from Duracell. 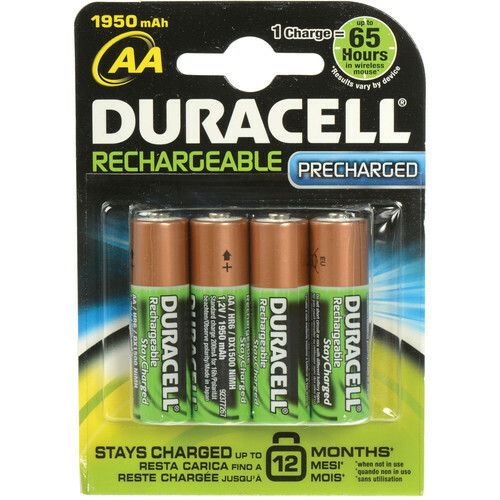 Each battery has a capacity of 1950mAh and ships pre-charged. The cells are capable of being recharged several hundred times, and are designed to hold their charge for up to a year when not in use. Box Dimensions (LxWxH) 2.9 x 2.7 x 0.5"